Like most motoring enthusiasts with more spare time than spare cash, I often find myself window shopping on used-car websites. Also like most motoring enthusiasts, I have a constantly changing fantasy dream garage, a parade of shiny cars that I’d definitely buy if I just had the money. And the space. And a more understanding partner. So here is today’s top three: a trio of iconic cars that are economical, affordable, and available. And I’d definitely like to own one of each. Even though I’ve never driven any of them. And I’d probably pick a different three next week. Which three cars would have pride of place in your dream garage? 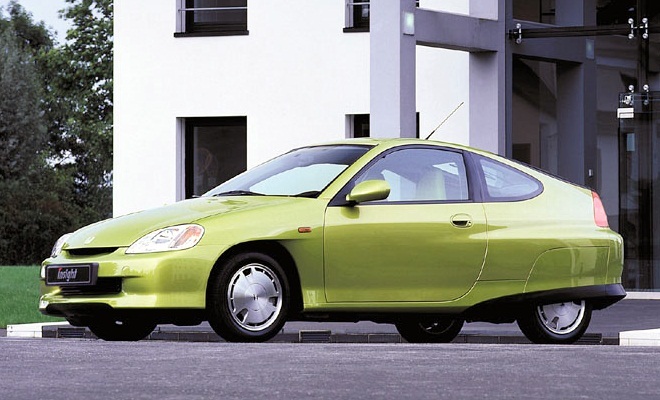 Honda’s original Insight looked like a prop vehicle from a science fiction film when it landed in 1999, with its slippery teardrop shape and rear-arch spats. Under the curvaceous exterior lurked a cramped two-seater, the long but shallow load bay sitting atop all the batteries and electronics needed for its pioneering hybrid powertrain. UK cars all had manual transmissions, but some CVT autos have made their way here from Japan since the car ceased production in 2006 – the auto setting the template for most of today’s most economical hybrids. With feathery kerb weight of just 838kg, the Insight achieved 83.1mpg and 80g/km on official tests. The 995cc 67bhp engine was supplemented by a 10kW (13bhp) electric motor. The manual could scrabble to 62mph in 12 seconds and onwards to a maximum speed of 112mph. 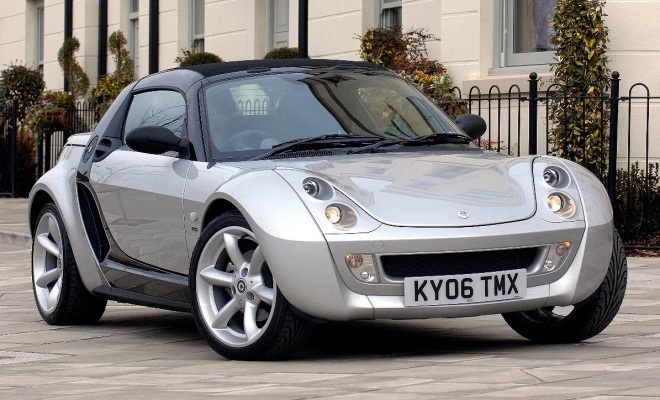 While the original Smart City Coupe looked like a plump beachball perched on a rollerskate, the 2003 Smart Roadster somehow avoided looking like a punctured beachball sitting on a skateboard. It employed the same plastic panels and exposed steel framework but by virtue of more classical proportions managed to look effortless and elegant. OK, not really effortless and elegant, but not entirely awful and awkward either. There was a brash Brabus version, but I’m not interested in that. My dream garage version is the run-out Finale Edition, sold from April 2006. These had a 698cc engine at the back churning out 80bhp, 17-inch alloys, metallic paint including body-coloured bumpers, aircon, and most importantly of all, a starter button on top of the gear lever. The official economy figure was 55.4mpg on the combined cycle, with a CO2 output of 121g/km. Sold between 2000 and 2005, the A2 made real the firm’s longstanding Vorsprung durch Technik catchphrase by being truly forward thinking. With tall proportions and a broke-back rear end, the A2 looked ungainly to many. But it had real inner beauty under the paint, making extensive use of light aluminium rather than ordinary steel to yield an 895kg kerb weight in its most svelte trim. Famously, the bonnet was clamped shut, its innards reserved for garage mechanics. Owners could top up vital fluids via a plastic flap at the front masquerading as a conventional grille. 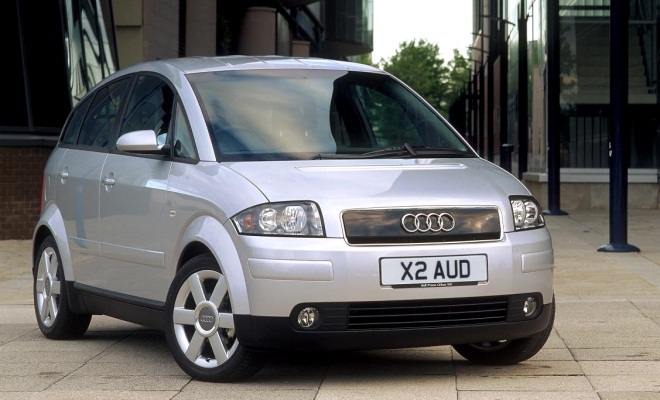 The A2 was never a sales hit, due to the price necessitated by its advanced underpinnings, coupled with a distinct lack of the aggressive, thrusting attitude that Audi has since made its own. Audi is now previewing a second-generation A2, part of its e-tron family of electric car concepts. The diesel 1.4TDI version scored 64mpg and 116g/km of CO2, with a 0-62 sprint of 11.9 seconds and 107mph top speed.